Firoz Kazhungil is Assistant Professor and Head of the Department of Psychiatry, Government Medical College, Manjeri,Kerala, India. 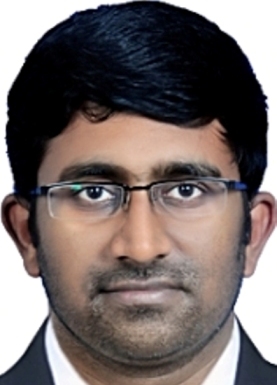 He serves as Editorial Board Member of several national and international journals including TJPRC: International Journal of Neurology, Neurosurgery & Psychiatry, Edorium Journal of Psychiatry, Annals Medicus, Kerala Journal of Psychiatry and International Journal of General Medicine and Pharmacy. He is a reviewer of several indexed international and national journals in medicine, psychiatry and psychology. 3. K. Firoz, V. Nidheesh Sankar, V. Rajmohan, G. Manoj Kumar, T.M. Raghuram. Treatment of fetishism with naltrexone – A case report. Asian Journal of Psychiatry 2014; 8:67-68. 4. Kazhungil Firoz, Asfia Khaleel, Rajmohan V, Raghuram T M. Mania induced by opipramol. Indian Journal of Psychological Medicine 2015; 37:96-8. 5. Rajmohan Velayudhan, Asfia Khaleel, Nideesh Sankar, Manoj Kumar, Firoz Kazhungil, Thazhe Mangool Raghuram. Fetishistic transvestism in a patient with mental retardation and psychosis. Indian Journal of Psychological Medicine 2014; 36:198-200. 9. Firoz Kazhungil. Evidence based medicine in psychiatry. Annals Medicus 2015: 2 Suppl.1-3.